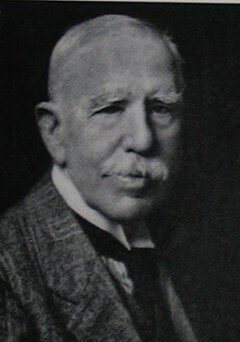 Born: 14 June 1851, Pietermaritzburg, South Africa. Died: 7 September 1931, Devonshire, England. Frederick P.T. (Fred) Struben was a son of Johan H.M. Struben, an official of the South African Republic, and his wife, Frances S. Beattie. Fred received his school education in Pietermaritzburg and subsequently lived with his older brother, H.W. (Harry) Struben*, on the farm The Willows, near Pretoria, assisting him in trading and prospecting ventures. From 1870 Fred worked a claim on the alluvial diamond diggings along the Vaal River for a while and during 1872-1873 prospected at Pilgrim's Rest. He took part in the punitive expedition against the Bapedi under Paramount Chief Sekhukhune in the Lydenburg district in the winter of 1876 and three years later helped to organise transport during the Anglo-Zulu War. During the First Anglo-Boer War (1880-1881), following the British annexation of the Transvaal, he travelled in Europe. After gold was discovered at present Barberton in February 1884 by F.H. Barber* and others, Struben prospected in the area for some time, but without success. Fred made a tour of the Witwatersrand in December 1883, looking for gold. He and Harry then formed the Sterkfontein Junction Mining Syndicate to prospect on, among others, the farms Sterkfontein and Swartkrans. At that time, like almost all other prospectors, they concentrated their efforts on quartz reefs, not suspecting that gold on the Witwatersrand occurred mainly in conglomerate beds. In August 1884 they discovered a promising quartz reef on the farm Wilgespruit, south-east of Kromdraai, which they named Confidence Reef. The Transvaal government promised state aid for its exploitation, but the results were disappointing. However, their activities helped to attract other prospectors to the region, which led to the discovery of the extremely rich Main Reef conglomerate on the farm Langlaagte in 1886. A few years later the Struben brothers sold their mining rights on the farms Driefontein and Vogelstruisfontein for a substantial sum. During or just before April 1885 Fred Struben drew a geological section across the Witwatersrand from north to south, showing a stratigraphic succession of "sandstone" and "slate" layers and the positions of various quartz reefs. The section indicates that significant knowledge of the geology of the Witwatersrand existed before the proclamation of the first goldfield there. Struben's manuscript section is housed at the University of the Witwatersrand. He retired to England in 1888 and bought a large estate in Devonshire where he spent the rest of his life. In 1896 he published A geological sketch map of Africa south of the Zambezi (London, 1896) on a scale of 40 miles to the inch (1:2 534 400); also Notes on the geological formation of South Africa and its mineral resources. To accompany my geological sketch map of South Africa (London, 1896). The map indicates the positions of various types of rocks and the positions of known mineral deposits, but contains no structural or stratigraphical information. In his notes he described his prospecting activities in South Africa. Fred was married to Mabel Diccy. Mendelssohn, E. A geological section of the Witwatersrand drawn by Fred Struben in 1885. Transactions of the Geological Society of South Africa, 1947, Vol. 50, pp. 177-178; Plates XXVI and XXVII.